The technological interoperability of digital libraries must be rethought in order to adapt to new uses and networks. Informative digital environments aimed at responding to heritage, cultural, scientific or commercial demands have taken over the global cyberspace and have redesigned the techno-informative landscape of the Web. However, while the technological models demonstrate their effectiveness and explain to a large extent the creation of digital libraries, archives and deposits, the subjacent concept of uses continues to cause debate. 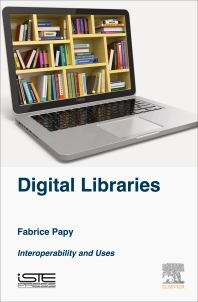 Fabrice Papy is Professor of Information and Communication Sciences at the University of Lorraine in France. His research activities focus on the problems of mediation instrumented by ICT in the digital devices of the "Society of Information".